It is March! High time for a Crafting post!! (January and February here). Now, I usually post these on the 13th or 14th…but I waited until the 17th for this one. You see, Mr. C is an Irishman and we all know that the 17th, St. Patrick’s Day, is a special day for the Irish. 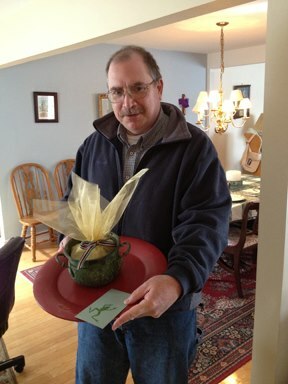 When I saw that Mr. C signed up for the crafting challenge, I was a wee bit perplexed. Probably because he’s a dad and stuff…and what kind of crafts are you supposed to make for dads, you know? But, most guys like food (generally speaking), so I figured it was a safe bet. I decided early on in the game to make St. Patrick’s Day food…but I needed to browse Pinterest a bit first. Eventually I came across the idea of truffles. I liked it. They’re fun but also kind of a treat. 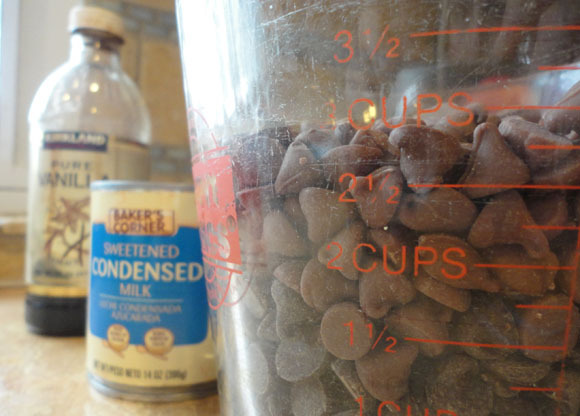 Gather ingredients for the filling: chocolate and sweetened condensed milk and vanilla. Melt them in a double-boiler. Or, if you don’t have a double boiler, concoct one using a pot and a bowl. Stir until smooth and lovely and delicious. Then chill. Roll into wee balls o’ goodness. 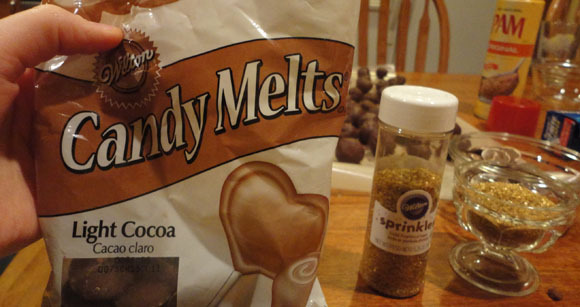 Coat in melted chocolate, love and golden sprinkles. Finally, deliver (preferably in a leprechaun pot with gold wrapping and a rainbow ribbon). This was fun. I actually got lost in their winding subdivision, called their college-aged son, and played my first-ever game of ding-dong-ditch with my adrenaline all high and what not. I delivered Sunday morning figuring they’d be at church. Ha HA! Sneaky, sneaky bear! I let out a cry that I couldn’t muffles. pushed me clean out of sight…. 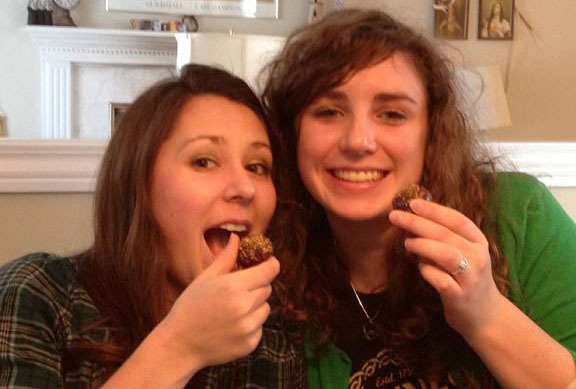 The poem continues, but I shall end this post of said Irish lasses eating chocolate.